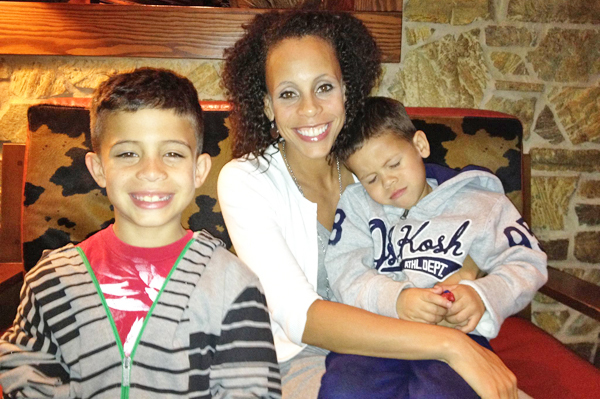 Angela Lopez starts her day at 4 a.m. each morning. And from the time she wakes up until she gets home — she’s lucky if she makes it home by 9 p.m. — she is molding lives. When I say Lopez is molding lives, I mean that she is literally taking someone and starting them on a journey that may ultimately lead them to saving a life. For 18 hours a day, she takes women from all walks of life and turns them into Marines. Since then, Lopez has gotten married, had two children (now ages 9 and 5), and risen up in the ranks of her chosen profession. She said she’s never looked back. 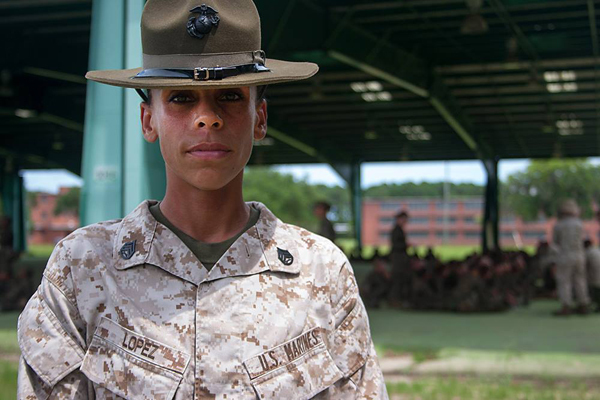 Lopez knew she always wanted to be a drill instructor, but the timing wasn’t right. Not immediately, anyway. Her husband, David, was a drill instructor at the time. Having two parents in that position would be too much. Plus, she and her husband wanted to have another child. Soon after, the family relocated to Okinawa, Japan, during which time she deployed several times, including one six-month tour in Afghanistan. In order to attend drill instructor school while her husband was deployed, Lopez had to make what she says was one of the toughest choices of her life. She and her husband decided to relocate their children to California to live temporarily with his brother and sister-in-law. “It was one of the hardest things I had to do in my Marine Corps career. 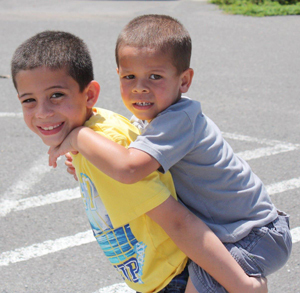 At one point in DI school, I thought, ‘What did I do?’ My kids weren’t up the street, they were across the country. I think deploying was easier because I guess I was gone and I didn’t have to feel that pain. There wasn’t the constant reminders [and] saying goodbye each time. Once she graduated in December 2012, her sister came to South Carolina to help out with the kids for when they returned in January. 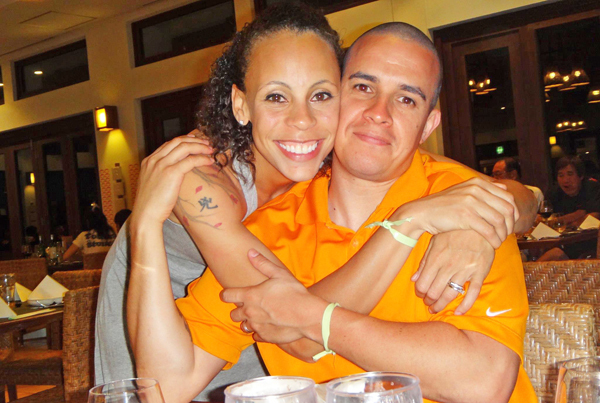 Lopez’s husband returned from his deployment in March. Despite the tough work schedule, Lopez has a purpose for the turn her career has taken. A tour of duty for a drill instructor is typically three years, with each “cycle,” or new group of recruits, coming in every three months. According to the Marine Corps Recruit Depot Public Affairs Office, a female platoon will have about 60 recruits. With her work schedule, Lopez does what she can to stay connected. Thankfully, her husband works a typical day shift and is there when she can’t be. Even, so, she says it’s still tough. But she does have a ritual that she tries to follow in order to stay connected with her kids. Lopez also stresses that when she is with her family, she’s all in.